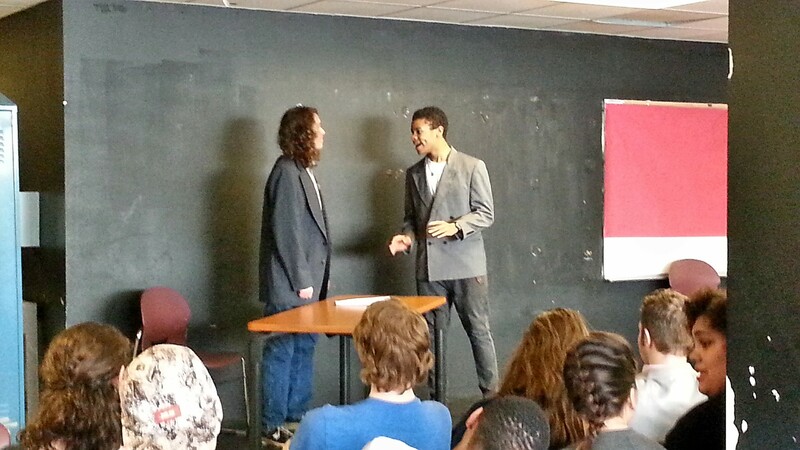 This week my students performed parts of several student-written plays for a larger school audience. 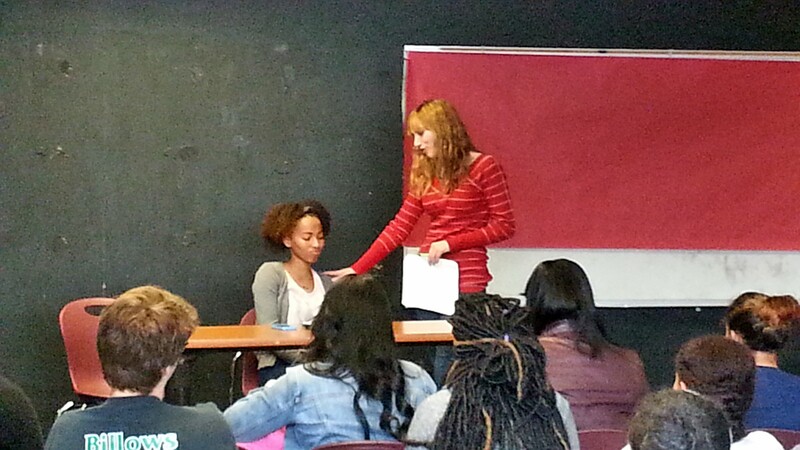 The project was the product of my long-standing collaboration with Kate McGrath and Philly Young Playwrights. 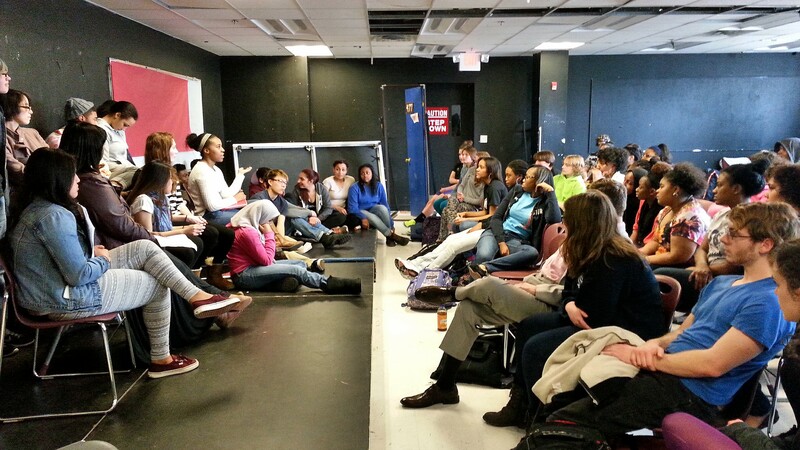 I fully embrace PYP’s model of using the arts to help young people discover their voices and be heard. PYP is a great organization and they have helped me and my students enormously throughout the years. This document describes this year’s playwrighting project. The focus was human rights, struggle, hope, and change. It is awesome to see students immerse themselves in projects when there is a chance to do meaningful work and the opportunity to perform for a larger audience. The students did a great job taking charge of the preparation and rehearsals in order to present high quality performances. Most impressive were the ways that students rallied to support each other. It is not easy to perform for a larger audience and many of the students do not identify as actors, yet they encouraged each other and committed themselves to the process. Below are pictures of the performances and talk-back.